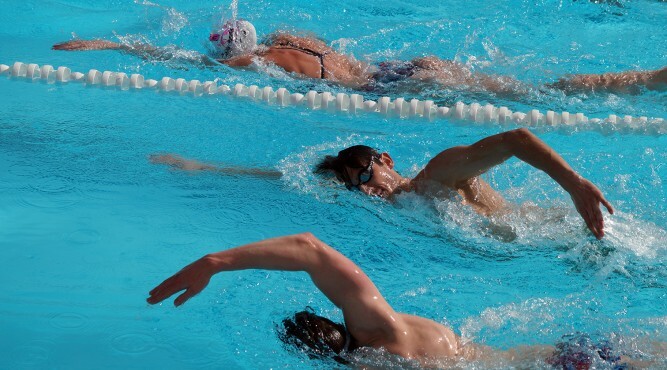 The athletes must handle the combination of fencing, swimming, equestrian, shooting and running on one single day. Therefore the sport, which was invented by Pierre de Coubertin the father of the modern Olympics and first president of the International Olympic Committee, contains several different challenges in competition and practice. For this reason the coordination and planning of the days is very important. “Modern pentathlon is a full time job” says Kate French, sixth at the Olympics 2016 in Rio and member of the British Modern Pentathlon team. 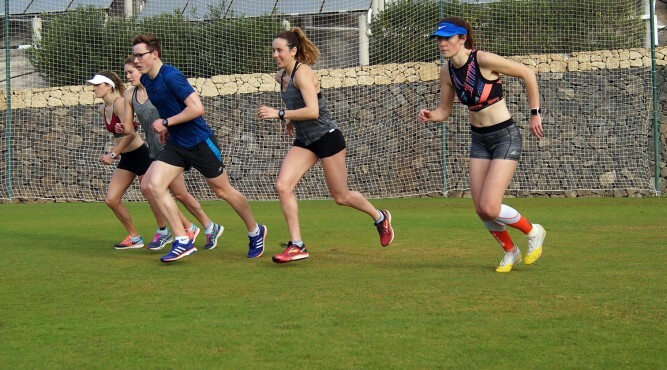 Together with five other athletes, she visited Tenerife Top Training (T3) to use the perfect circumstances to prepare herself for the coming season. “To find the balance between all five sports is the most challenging aspect” said the 25 years old athlete. At T3 French and her teammates focused on the shooting, swimming and running. 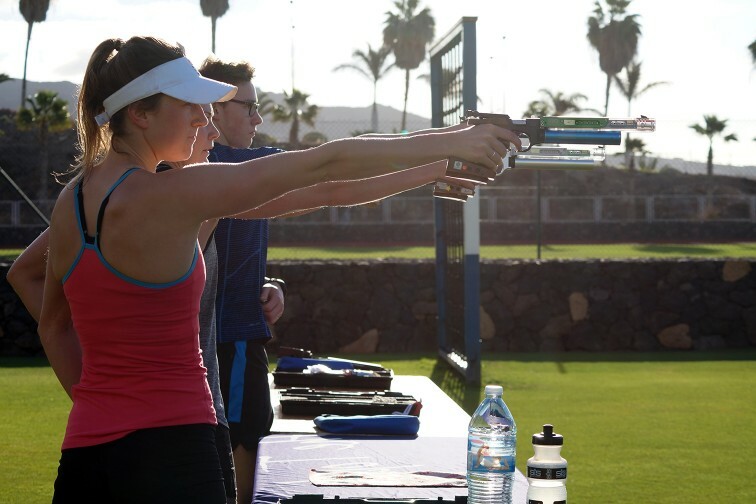 Especially the practice for the combined event, the combination of shooting and running comparable to biathlon, was an important aspect during the weeks on Tenerife. “At the end of August, the world championships will take place in Cairo. This is my main goal for 2017” says French. In Great Britain she and her colleagues profit from the infrastructure at Bath University. “Two years ago I graduated. Now, I concentrate on my sport. We have two sessions every morning and continue with the practice in the afternoon”, French explains. The British system is successful. Since Sydney 2000 British women have been collected five Olympic medals, the last one 2012 in London. At the Olympics in the British capital Samantha Murray won silver. 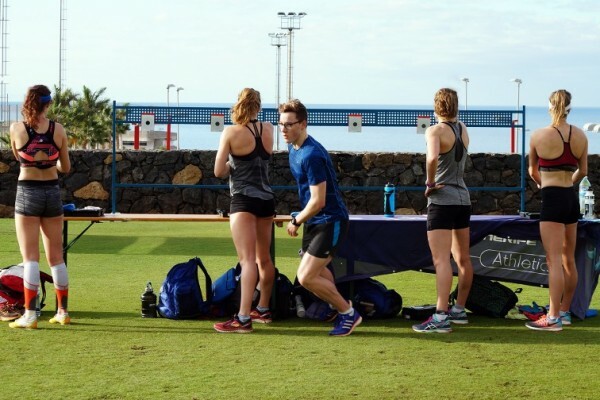 In Tenerife she practiced together with her teammates and used the time on the island for her perfect preparation for the World Cup season which will start at the end of February. 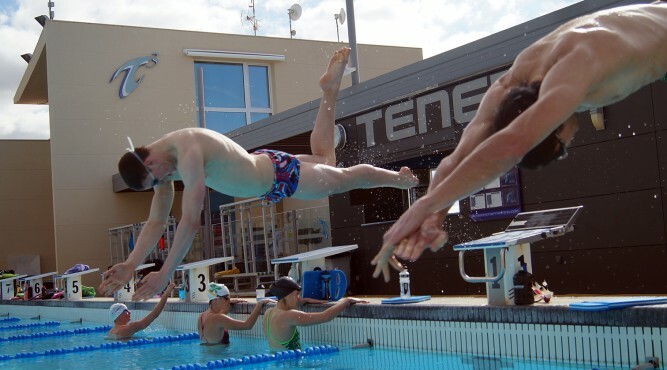 Besides the endurance and technique, athletes need to be mentally strong to compete in Modern Pentathlon successfully. “We start our long day with two hours of fencing. During this time you need to concentrate on a very high level”, Kate French explains. The fencing could be a start of a perfect day or the first difficult challenge. “If I have a good fence, I’ll try to keep the things going on. If I have a bad fence, I’ll try to take the other four disciplines to get it right. I don’t want to give up”, says French.